Since the Australian dollar has been strong, it’s been tempting for us in Australia to do most of our perfume shopping online in order to find the best price. While this is nice for our bank balances, it means that sometimes we don’t pay attention to all the gorgeous scented products being made and sold right on our doorstep. As Perfume Polytechnic is an Australian perfume blog, this Christmas I’ve compiled a list of fabulous, fragrance-related gift ideas from specialist Australian perfume stores and Australian perfume makers. There’s a wide range to choose from, including gorgeous fragrances, creative experiences, books and scented products for your home. Better still, there are options for perfumistas and non-perfumistas alike. I hope you enjoy this list, get some inspiration for your Christmas gift shopping, and support Australian makers and shops in the process! If you’re a Melbourne person, you will already know and love Kleins – the legendary little store on Brunswick Street, Fitzroy, stacked literally to the rafters with an eclectic and exquisite range of high-quality niche perfumes and beauty products. 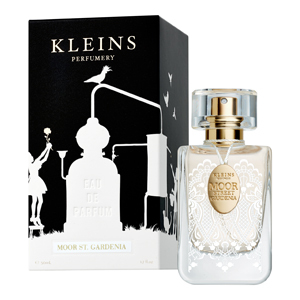 Relatively new to the scene is Kleins’ own range of fragrances, including this gorgeously realistic gardenia fragrance, Moor Street Gardenia. Fitzroy locals will know Moor Street (located only a few hundred metres from Kleins), and may even know of the very gardenia bush that inspired this fragrance. Imagine buying this for a local! Adding further kudos to this Australian-made product, Kleins’ fragrances are created using distilled grape alcohol from the Australian Barossa Valley. The fragrance is richly creamy and heady, and is perfect for summer. Moor Street Gardenia comes in Eau de Parfum strength and you can buy a 50ml bottle for $110, online at Kleins, or wander in and buy in store, if you’re a local. One Seed Scent Bar Fragrance. Photo courtesy of Liz Cook. One Seed, based in Adelaide, is the natural fragrance company of perfumer Liz Cook. One Seed’s fragrances contain 80% organic materials, use recyclable packaging and are cruelty free. As well as making a range of wonderful fragrances and offering a bespoke fragrance service, One Seed offers a Scent Bar Fragrance service to appeal to the creative soul lurking in all of us. The Scent Bar service is a satisfyingly easy process in which you choose the top, middle and base notes (single ingredients and accords) of your handcrafted fragrance. Perfumer Liz Cook then does all the hard work, blending these ingredients to create a beautifully balanced creation just for you. Make a custom fragrance for a friend or loved one, and try your hand at making a fragrance! At $29.95 for an 8ml bottle, it’s a steal. Scent Bar Fragrances can be purchased online here. Create Your Own Perfume Experience. Photo by Emma Leah. If you know a creative type or perfume enthusiast who is keen to make their own unique fragrance from scratch, under the guidance of a trained perfumer, then the Create Your Own Perfume experience at Fleurage Perfume Atelier in South Melbourne is the perfect gift. Readers of this blog will know that I was lucky enough to be gifted with a Create Your Own Perfume experience a few months back. You can read more about that experience in this blog post, and also here. I can’t recommend it highly enough! This two-hour, one-on-one experience is a great introduction to perfume making. Best of all, you end up with a one-of-a-kind fragrance, and you can order refills once you’ve used it all up! Master perfumer Emma Leah, who also creates sublime, botanical, vintage-inspired fragrances, will guide you through this process. The experience costs $250; for that you receive 2 hours of personalised, one-on-one attention from Emma, and take home a 40ml bottle of fragrance. You can read more about the Create Your Own Perfume experience and make bookings here. 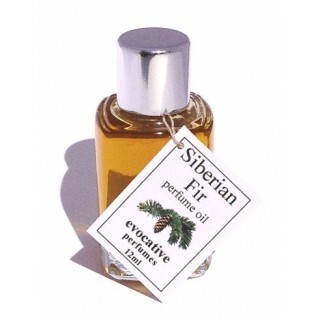 Evocative Perfumes’ Siberian Fir. Photo courtesy of Mark Evans. We all love the smell of a Christmas tree, don’t we? Adelaide-based perfumer Mark Evans’ camphoraceous yet surprisingly rich fragrance, Siberian Fir, will satisfy all longings for that wonderful smell, while offering a fragrance that is much more interesting and complex than that. Siberian Fir is a rare variety of fir from Russia with an unusual complexity and richness, and has a green fruitiness that adds sweetness and depth to any cool, camphoraceous notes that one usually expects from fir. The fragrance is balanced out beautifully with notes of Poplar bud, Australian Buddha Wood, chamomile and rose. Siberian Fir is a great fragrance to wear in both warm and cool weather. The cool, green freshness of the fir, while evocative of winter, snow and Christmas, is refreshing on a warm day too. 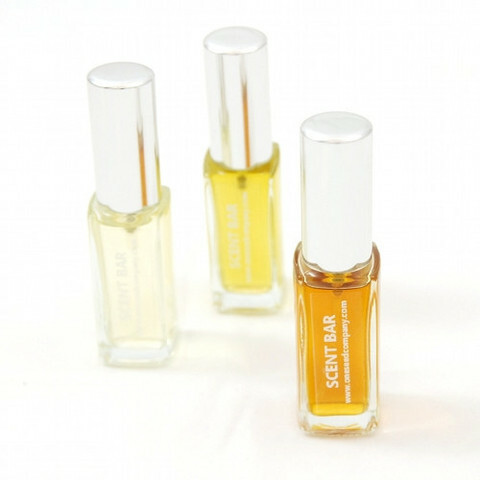 You can find Siberian Fir online here, priced at a very reasonable $40 for 12ml of perfume oil, and $50 for the newly released Eau de Toilette. 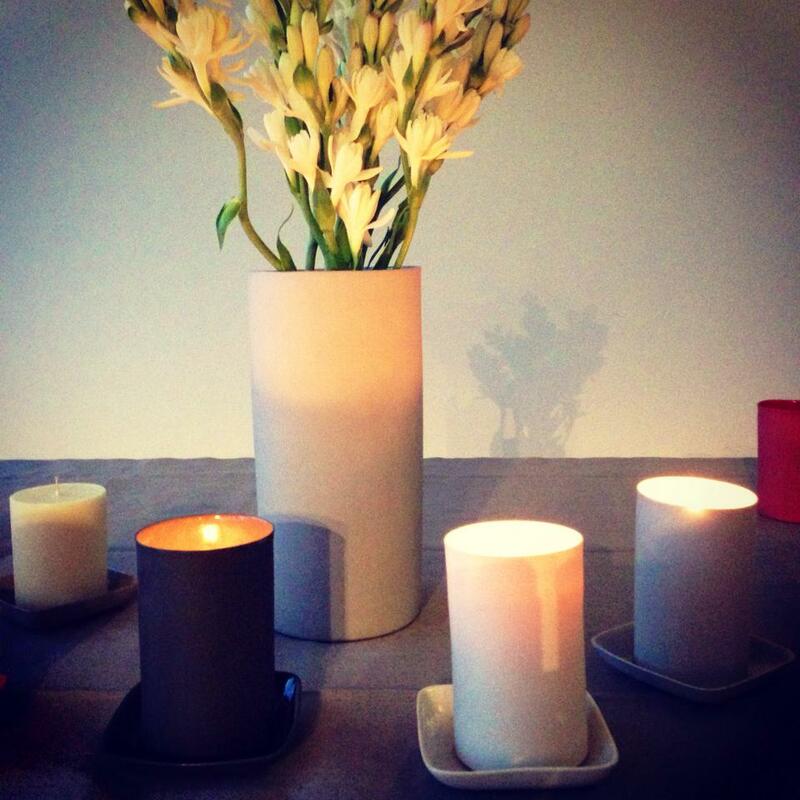 Mud Candles by Ainslie Walker and Mud Australia. Photo courtesy of Ainslie Walker. Ainslie Walker really knows her stuff: she is a Jasmine Award winning writer, fragrance journalist and perfumer. A recent collaboration with Australian ceramics company Mud has resulted in two scented candles created by Ainslie and encased in Mud’s serenely clean and minimalist porcelain vessels, in a range of edible colours. Mud 01 features tuberose, along with notes of green ginger, jasmine & tolu balsam. This lusciously creamy and narcotic fragranced candle is available encased in either red, slate, or milk coloured porcelain, and refills are available. The candles are 100% hand blended and poured in Australia. Mud 02, released only two days ago, features a warm blend of amber and woods, complemented with animalic notes of leather and musk, heady neroli, fresh orange and sun-dried hay and herbs. Divine! Mud 02 is available in the following colours: bottle, plum and dust. Refills are also available. Mud candles range in price from $100-120, with refills costing $50. Mud 01 is available at the Mud Australia website and directly from Ainslie at her website. Mud 02, which is brand new, is currently only available in store. See the Mud stockists page for details. Not strictly speaking an exclusively Australian item, but as Michael Edwards’ legendary book, Fragrances of the World, was conceived and born in Sydney in 1984, and his publication team is still based here, I am claiming it as Australian! Edwards, an Englishman, now divides his time between Sydney, New York and Paris. This year marked the 30th anniversary edition of Edwards’ now legendary Fragrances of the World, an industry guide-book suited to perfume retailers and enthusiasts alike. Fragrances of the World classifies thousands of commercially available fragrances into categories as defined in Edwards’ equally famous fragrance wheel. Retailers can use the guide to recommend new fragrances to customers, based on their existing preferences, however the guide is also an invaluable tool for perfume enthusiasts to help them learn about fragrance families and classification, and their own tastes. A must for any perfumista! 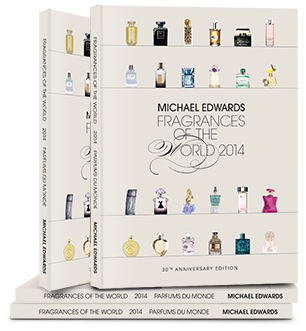 Fragrances of the World 2014, 30th Edition, can be purchased online for $195. I hope you’ve enjoyed reading this list and got some ideas for your gift giving this year. What do you want from Father Christmas this year? Are there any Australian fragrances or perfume-related goodies on your wish list? I do hope you feel inspired to shop locally and support Australian perfume talent! A few months ago, in my Facebook perfume appreciation group, some of us took part in a perfume review challenge. In this group task, we each chose a fragrance house that we wanted to become more familiar with, and wrote a review on a different scent from that house, every day for seven days. I chose to review seven fragrances by the French company Histoires de Parfums. Over the past few weeks I’ve shared a few of these reviews with you at Perfume Polytechnic. Today’s review of Tubereuse 3 is the final installment of this series. Part One of this “paired” review, in which I reviewed Tubereuse 1: Capricieuse and shared my thoughts on tuberose as an ingredient, can be found here. If you’re interested in some background information about Histoires de Parfums, it can be found in this post. In this two-part review I will be sharing my thoughts and impressions of two of the Tuberose Trilogy fragrances by Histoires de Parfums, Tubereuse 1 and Tubereuse 3. I won’t be reviewing Tubereuse 2: Virginale at this stage. Both Tubereuse 1 and Tubereuse 3 come from a series of three tuberose-centric perfumes created by Histoires de Parfums. Tubereuse 3: Animale is a curious fragrance: it seems to straddle scent categories that are usually in opposition to one another. On the one hand, it’s like an 80s powerhouse fragrance: so rich, so intense, so strong, yet its intriguingly original blend of notes and high quality ingredients ensures it remains firmly in the niche camp. Gender-wise, it’s a true unisex fragrance, including sweeter fruity and floral notes (most often considered feminine) and stronger woody and herbaceous notes (usually considered masculine). I know this fragrance well, as I own a small travel-sized bottle, and I’ve worn it many times. Tubereuse 3 (T3), on first spray, is strong, one of the strongest and headiest fragrances I have experienced. At first, T3 emits a sweet yet savoury, boozy, rich aroma, and conjures up images of dark maple syrup (from the immortelle), shots of fine aged whisky, pipe tobacco and honey-soaked prunes. The tobacco used in T3 hits you with a blast, and imparts a dry, masculine layer that balances out the sweet fruitiness of the other dominant notes (immortelle and prune). This tobacco note also reminds me of the old tins of cigarettes that my father once collected. As a child I used to enjoy opening the drawer in the enormously tall antique mahogany display cabinet in the dining room, pulling out one of the beautifully labelled flat tins, and opening it to reveal the dry, sweet, hay-like smell of the cigarettes. These cigarettes smelled nothing like those available in the modern packets and I revelled in these stolen sniffs, feeling like I was doing something slightly naughty, yet pleasurable. The tuberose, as in Tubereuse 1: Capricieuse, plays a supporting role, but here, it is slightly stronger and more recognisable as tuberose. It’s still not indolic, but it imparts a strong sweetness and richness that matches the syrup of the immortelle and the warm intensity of the prune. As for the remaining notes, I can’t detect them, so I must assume that either my skin doesn’t augment them, or they’re so well blended that they hide behind the dominant notes. Longevity is excellent – T3 will last on clothes until you wash them, and for at least 4-6 hours on skin. Projection is enormous for the first couple of hours. You will easily fill a room in this fragrance. This, coupled with the longevity, means you don’t need to spray much of this fragrance for it to go a long way. Tubereuse 3: Animale is a gorgeously rich, warm fragrance, marvellously comforting in cold weather, but also delicious in the summer, when its warm-dry-sweetness matches the heat of the sun. As for the subtitle of this fragrance, “Animale”, I’m not sure that I would call T3 an animalic fragrance. Sure, it has the richness and depth that many true animalic fragrances often have, but there are no animal-derived or animal-redolent (whether natural or synthetically mimicked) ingredients here. Tubereuse 1: Capricieuse and Tubereuse 3: Animale are now two of my favourite fragrances. HdP has used high quality ingredients and combined them in interesting compositions, exploring the note of tuberose in more subtle and unusual ways than many other perfume houses. I’ve enjoyed discovering and reviewing these two fragrances from HdP’s Tuberose Trilogy. I’ve learnt that tuberose can play a variety of roles in a fragrance, and that it doesn’t always have to be a hot fuchsia mash-up of the indolic, overpowering, and tooth-achingly sweet. A few months ago, in my Facebook group For Love Not Money, some of us took part in a perfume review challenge. In this group task, we each chose a fragrance house that we wanted to become more familiar with, and wrote a review on a different scent from that house, every day for seven days. This was a great way to get through some of my samples, which seem to have multiplied faster than Mogwais in the movie Gremlins over the past 18 months, and to really explore both the fragrance house, and their scent compositions. I chose to review seven fragrances by the French company Histoires de Parfums and I’ll be sharing some of these reviews with you here at Perfume Polytechnic. A couple of weeks ago I shared my review of 1740:Marquis de Sade with you. You can read that review here. Last week, I wrote about Olympia and you can read that review by clicking on this link. If you’re interested in some background information about Histoires de Parfums, it can be found in this post. In this two-part review I will be sharing my thoughts and impressions of two of the Tuberose Trilogy fragrances by Histoires de Parfums, Tubereuse 1 and Tubereuse 3. I won’t be reviewing Tubereuse 2: Virginale at this stage. Let me start off by saying I’m not sure that I like tuberose. It’s one of those overpowering notes that tends to dominate any fragrance it’s in. I find its indolic, sweet and heady nature too much, most of the time. I can admire its camphoraceous, sarsaparilla-like qualities as found in Serge Lutens’ Tubereuse Criminelle, and I respect Robert Piguet’s Fracas, which renders tuberose in intense, creamy tones. 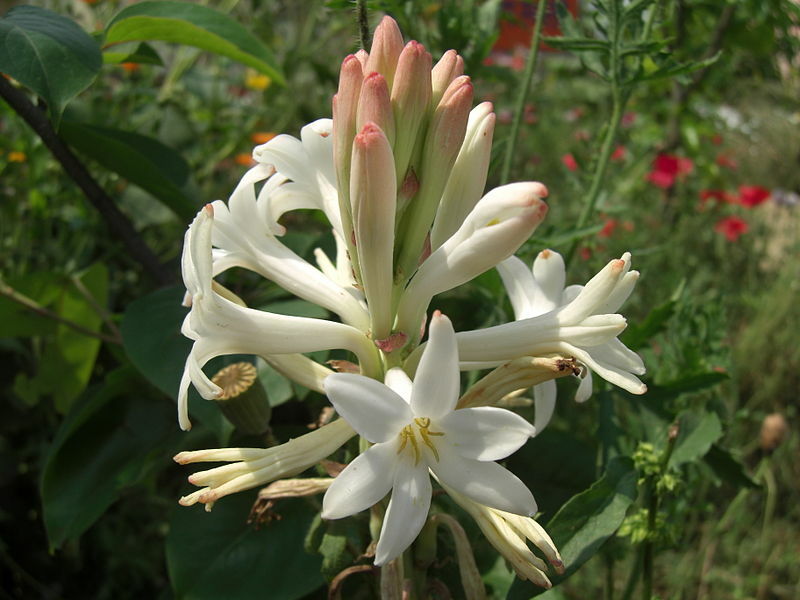 But to me, tuberose is like the colour fuchsia: I just don’t like it. Both fuchsia and tuberose scream “femininity” to me in a way that, as a woman, I don’t want to be represented. It is with some surprise then that I have to confess I absolutely adore both Tubereuse 1 and Tubereuse 3. This may make me sound like a hypocrite, but, as I will reveal, the way in which this powerful note is used and combined in these two fragrances makes all the difference. One day early last year I was on one of my perfume self-education sessions in Melbourne. These would go on for hours, several times a week in the early days of my fascination with perfume. On this particular outing I was reeling with excitement from sniffing Tubereuse Criminelle: I had finally learned to identify tuberose! The goal of some of these self-education sessions would be to learn, by elimination and deduction, what a particular note smelled like, then find as many perfumes as I could which contained that note (using Fragrantica and The Guide), and go and sniff them. This is how I discovered the Histoires de Parfums Tubereuse Series. I was fascinated by this trio of perfumes that utilised tuberose as top, middle and base notes. 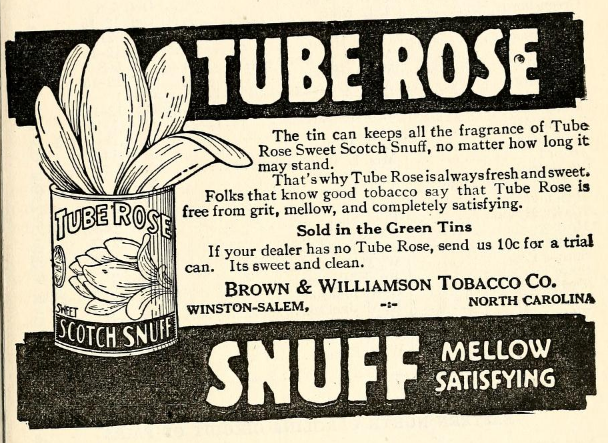 Surely they would all be too overpoweringly “tuberose-y” for me? But, to my delight, when I spritzed Tubereuse 3 (T3), I was pleasantly surprised. T3 is essentially a tobacco and immortelle dominant perfume, with the tuberose playing only a supporting role in this fragrance, adding a sweet, robust layer and strength to the fragrance. I will review T3 in more detail tomorrow. After being totally smitten with T3, I ordered some samples from the Histoires de Parfums (HdP) line. One of these samples was Tubereuse 1: Capricieuse, which I promptly and utterly fell for. Top notes: Tuberose, Bergamot, Saffron. Heart notes: Tuberose, Iris, Ylang-ylang. Base notes: Tuberose, Suede, Cacao. Does Tubereuse 1 (T1) match up to the description above? Not really. Do I mind? No! I adore this fragrance, just as it is. T1 is rich and restrained, warm and cool, flat and vibrant, and simply gorgeous. Six to seven sprays are enough to get me through a full six hours before this becomes a skin scent. It radiates enormously for at least the first two hours of wear. On fabric it will last until you wash your clothes. On first blast I am almost overwhelmed by the yummiest, warmest almond, not listed in the notes; but my observation is supported by the ingredients list, where I notice farnesol is listed. Farnesol is the main constituent in mimosa (wattle) flowers, which have a similar almondy smell to them. The powdery, earthy note of saffron and the soft, fuzzy suede compliment and blend beautifully with the almond note, with the suede gradually dominating from around the 20 minute mark. The iris, flat, bitter and cool, adds another powdery facet to the composition, yet contrasts with the warmth of the other notes. Cacao seems present, again, in a warm, earthy, powdery form, but it’s not strong. Predominantly, this is a duet between iris and suede, and a study in powdery notes: it is such a beautiful creation. Tubereuse 1: Capricieuse is a close relative to HdP’s 1889: Moulin Rouge, a similarly powdery fragrance that is heavy on the iris. Moulin Rouge is sweeter, more girlish, while Tubereuse 1 is more modern, original and striking. But where is the tuberose? It is present, but is so well blended that it only adds a slight sweetness, a warm floral note that underpins the whole composition. During the opening of the fragrance, I occasionally catch the tiniest, most whispery glimpses of indole, as if from the very periphery of my vision, but these soon fade away. Apart from this, the tuberose could really be any sweet, warm floral smell; it isn’t really strongly identifiable to my nose as tuberose. There is no camphor, no screaming fuchsia, there is nothing cloying or overwhelming about it in this composition; it is my kind of tuberose: warm, soft and fuzzy. Dusty, rosy brown. Cosy.